130 families in need provided complete meals for 2018 Thanksgiving. The Rotary Club of Big Rapids has so much to be thankful for! We packaged and provided 130 complete meals to families in our community. We are thankful for the support of our corporate partners, Meijer, Walmart, Walgreen's and Rite-Aid in making this project possible. 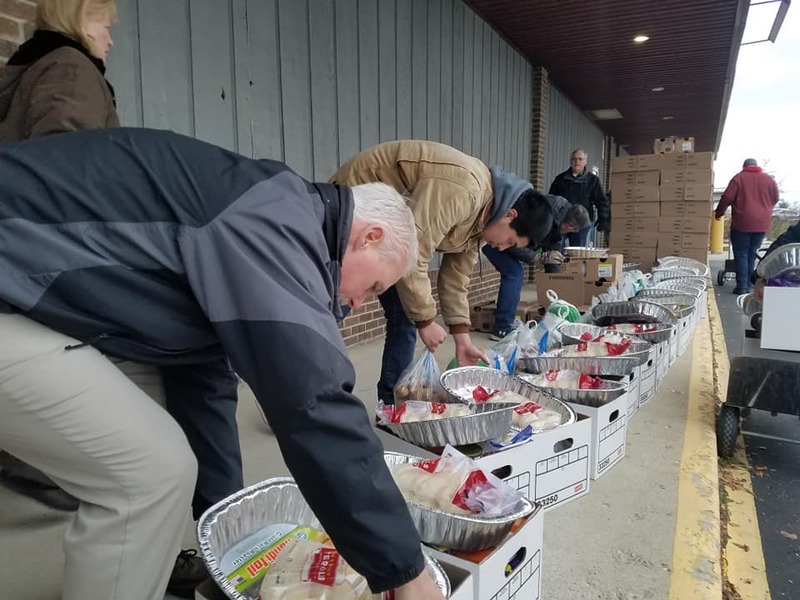 We are thankful for the assistance of the brothers of the Sigma Alpha Epsilon fraternity, who have aided us in funding, packaging and distributing meals for the last four years. We are thankful for the generosity of club members who, through their weekly donations and contributions of time, energy and talents, have allowed this program to grow every year. Finally, we are thankful to live, work, and serve such a fantastic community.